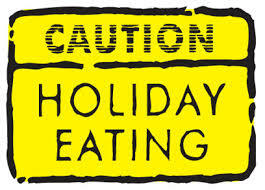 A few years ago, I provided some tips on avoiding holiday weight gain. (If you search Christmas or Holidays at the top of the page/in the search bar, you’ll get all kinds of good stuff from me -workouts and recipes.) 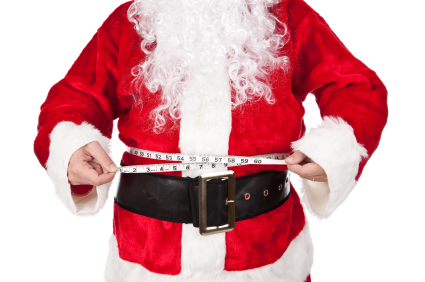 With just a few weeks to go until Christmas, this year I thought I’d provide you with some of tips on how to get thru the holidays without ruining your fitness or nutrition plan. Christmas is often seen as the season of indulgence. There are an excessive amount of parties and dinners and get-togethers and functions – not to mention Christmas dinner – and with all of that, there comes large quantities of food and drinks. Whether it’s chips and dips and beer or a buffet with an abundance of rich desserts and cheeses and wines, there is likely something that will can entice even the strongest-willed guest. Make a Plan. Don’t start the season off without knowing exactly how you will approach it. Look at your calendar and figure out when you can get your workouts in – even if you can only spare 20 minutes. Utilize that time to make the workout count! Making a plan also comes into play when you’re preparing to feast. If you are attending a holiday party where you know there will be lots of decadent foods served, plan your meals and eating routine around that. Have a lighter lunch or dinner* or have a healthy snack instead of your regular meal if you will be eating later at an event. If you really have the will power (or discipline) you can always prepare your own snacks to take with you to a holiday party – that way, you’ll know exactly what you’re eating and won’t go over your portion. *You can also prepare a nutritious meal at home prior to going to your event. This will prevent you from overeating or eating excessive junk at the party. And again, this way you will know exactly what you’re consuming. Commit. 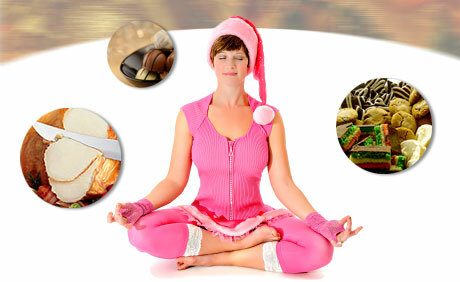 If you commit yourself to staying healthy during the holidays, stick to it. This does not mean committing 100% (although, how fantastic would that be? ), but why not commit yourself 80-90%. If you’re not able to get to the gym 4 times per week during the Christmas rush, why not commit to getting there twice a week? Or saving your gas and working out at home 3-4 times per week. There are ways to compromise while (sort of) sticking to your plan. Challenge Yourself. If you are going to be working out less during the holidays, make sure your workouts count. Adding in strength training (you should be doing this anyway), plyometrics, HIIT workouts, or something out of the ordinary can rev up your system and help you in burning more fat than your regular workout. There are so many other ways to do this easily – increasing the intensity on your treadmill or elliptical, holding your yoga pose longer. Whatever it is, make sure it’s challenging you and see the difference. Eat Breakfast. I cannot stress enough how eating a well-rounded, healthy breakfast can change your life. Protein and the right carbs can be a game-changer for your entire day. People who eat breakfast are less likely to overeat during the day. Don’t Drink (All) Your Calories. Have a glass of wine or punch or a beer – just don’t overdo it on the booze or eggnog or cider. Holiday party drinks are almost always loaded with sugar or fat. So be on the lookout for that and sip wisely. In addition to this, making your own java can help save you calories – and money. Brewing at home as opposed to purchasing overpriced, over-sugared coffees/mochas/lattes/etc. will help you monitor what’s going in your body and what’s coming out of your wallet. Don’t Punish Yourself. If you’re at a party or a dinner and there is something you really want – eat/drink it. Just limit yourself. You don’t necessarily have to eat the entire plate of cookies, but you can have one. Enjoy it. Savor it. Don’t Forget that Christmas/the holidays are not all about food. 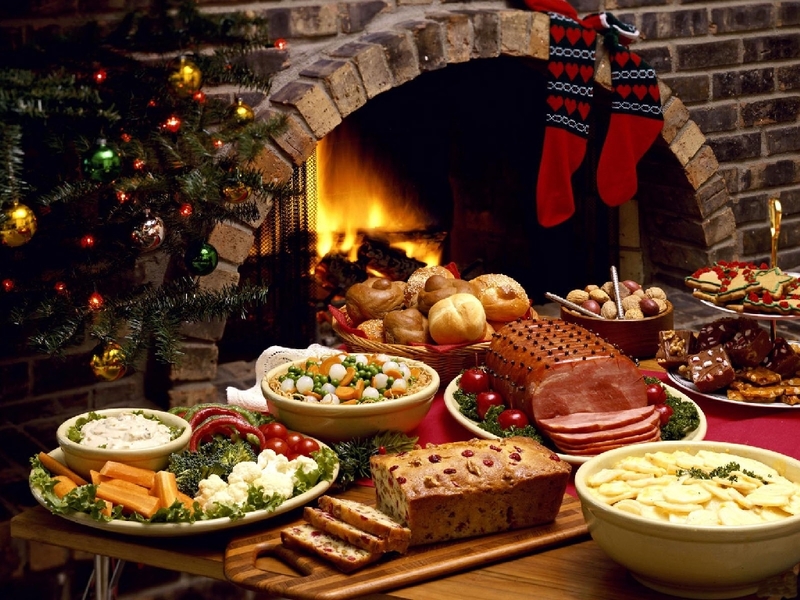 Christmas parties and family gatherings are also about being social and spending time with friends and loved ones. So, step away from the buffet table or the chip bowl or the bar and indulge in the conversation, listen to the music, sit by the fire. Mingle, tell stories, and Enjoy Yourself!